Canus Corp is an industry specialist in the acquisition and turn-around of distressed assets, REO and partially completed real estate projects. Our team of experienced real estate professionals has the multi-disciplinary approach that is required to provide owners, investors and lenders with the complex solutions required in this challenging marketplace. Our principals have worked through previous down-cycles in the real estate market, including significant roles in the RTC of the early 1990's. 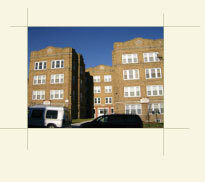 Canus acquired the property with a deed in lieu of foreclosure. The acquisition required creativity and perseverance in order to surmount the numerous permitting issues, liens, and other deficits attendant to this type of distressed asset. In the first 60 days of Canus ownership the property was fully leased, all permit issues were resolved, and the operating statement was returned to a stabilized position.